I'm back from New York Toy Fair! We ordered so many new items, and I can't wait to share them with our customers. What's in and what's out in 2019? This summer will mark the 50th anniversary the moon landing. We're seeing tons of new space, rocket, and moon toys to celebrate the milestone. Crazy Aaron is releasing a new Thinking Putty with real moon rocks in the formula. Plus Plus released new sets for kids to build the Saturn V, lunar lander, and an astronaut. For preschoolers, I love the new Apollo 11 wood stacking game from Begin Again. 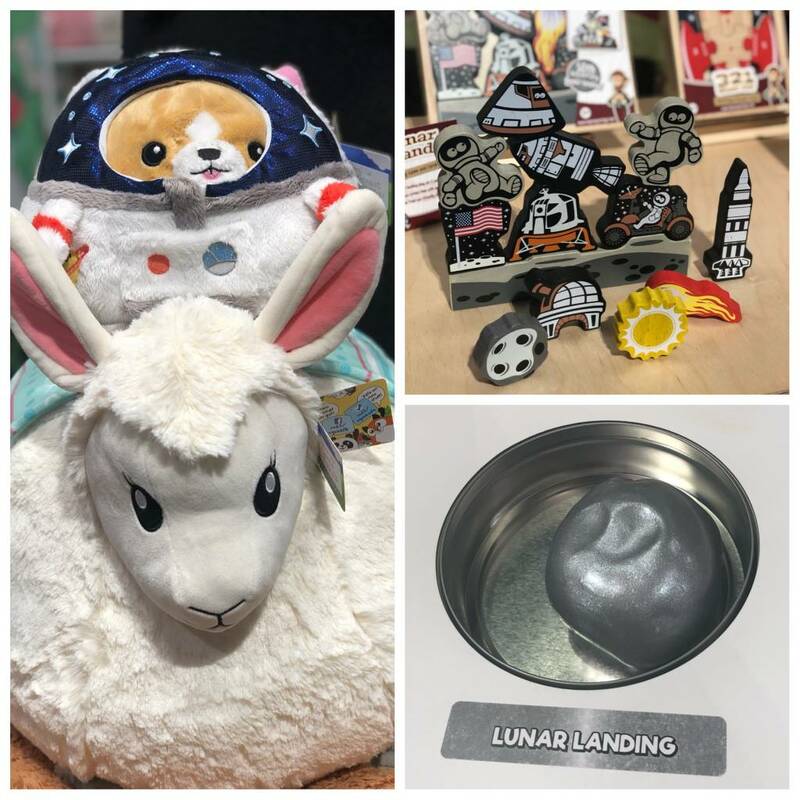 Squishable even has a mini corgi in an astronaut costume! I also saw lots of new items looking ahead to a future Mars mission. This mythical creature is heating up! I saw Yeti baby toys, games, puzzles, and craft kits all over Toy Fair. Llamas gained popularity in 2018, but I predict that they'll overtake sloths this year. I saw llamas everywhere, especially in baby, plush, and arts and crafts. Unicorns are everywhere! To be honest, I’m starting to sense unicorn fatigue in the industry, but consumer enthusiasm is still strong. Momo's will have new unicorn items across all categories. My favorite was a unicorn robot kit coming out later this year. 2018 was big for plants, especially avocados, pineapples, and cacti. I saw much less at Toy Fair 2019.